You asked – We Delivered! Now that we’ve completed the majority of our international outreach, moving forward we plan to graphically showcase how far we’ve come on our mission and illustrate the footprint left around the world. 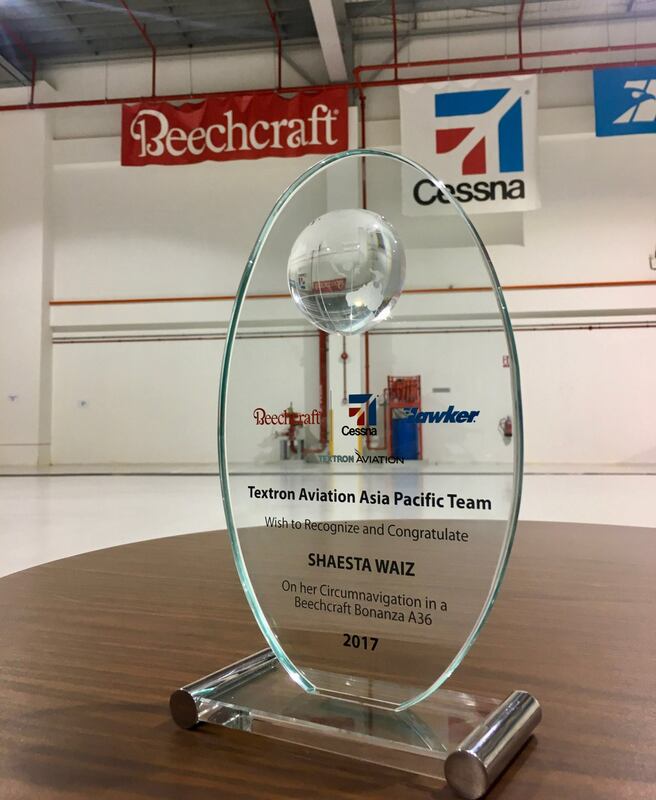 Shaesta, to date, has flown a total of 12,294 miles and completed 13 outreach stops along the global route, involving multiple events facilitated at each stop. She’s impacted and interacted with more than 2,200 children. The aircraft is currently on a scheduled maintenance stop, where early this week, and into next week, Shaesta will resume her advancement through the South Pacific. Thank you ICAO, our global partner, as each portion of this mission requires the utmost attention from worldwide civil aviation authorities, air navigation bureaus and local delegations. Both HADID International Services and Universal Weather & Aviation teams devote countless hours handling flight planning, logistics and global weather support. We cannot fulfill this mission without industry partners! Thank you HADID and ICAO! 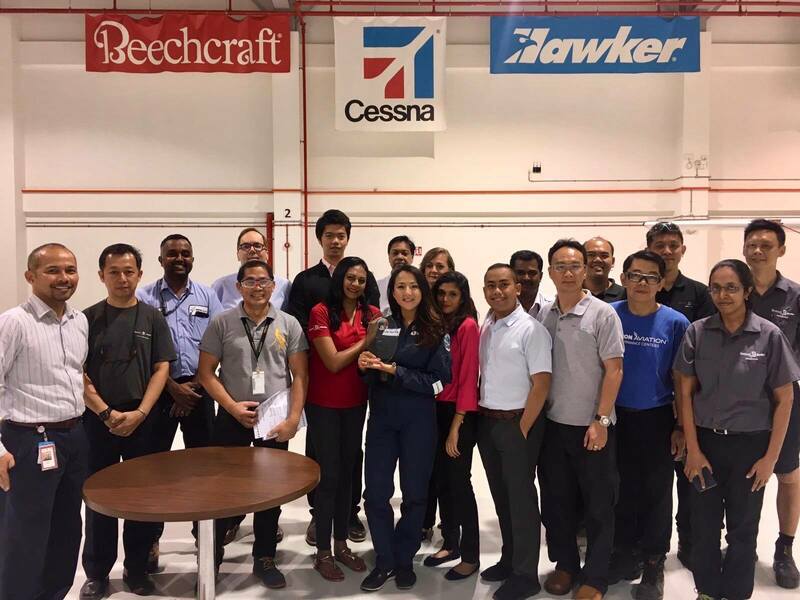 Jodie Davis, Textron Aviation Australia’s Regional Sales Director for Piston Aircraft, Asia Pacific, recently hosted Shaesta at Textron Aviation’s offices at the Singapore Seletar Airport. During our outreach efforts there early this month, Shaesta met with the employees and thanked them for all of their support for Dreams Soar. She was presented with a plaque recognizing the solo flight mission around the world. 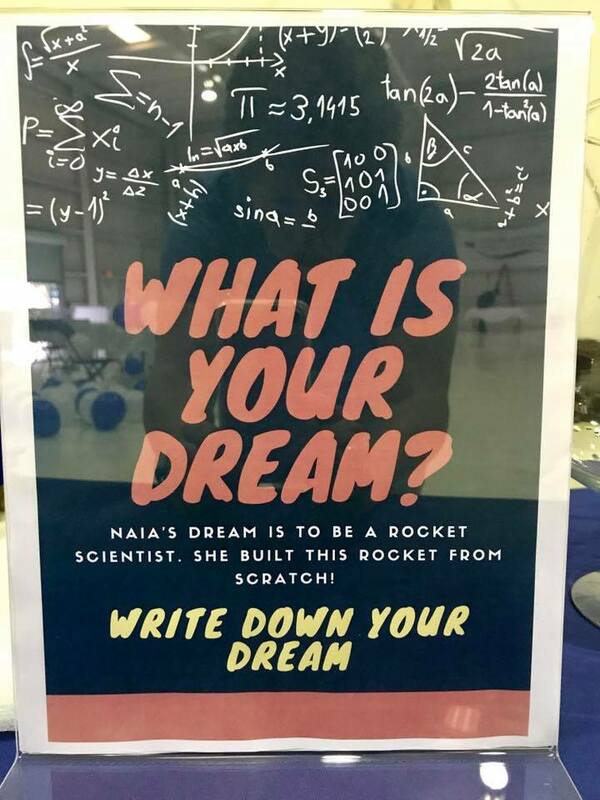 A STEM Partner to our organization, Dreams Soar values the partnership with Textron Aviation and would like to convey our wholehearted gratitude for their continued support of this mission! Their mission is to raise awareness and support for the Dr. Reijntje’s School for the Deaf. This school provides deaf young women in Sri Lanka with an education to pursue careers despite their disability. 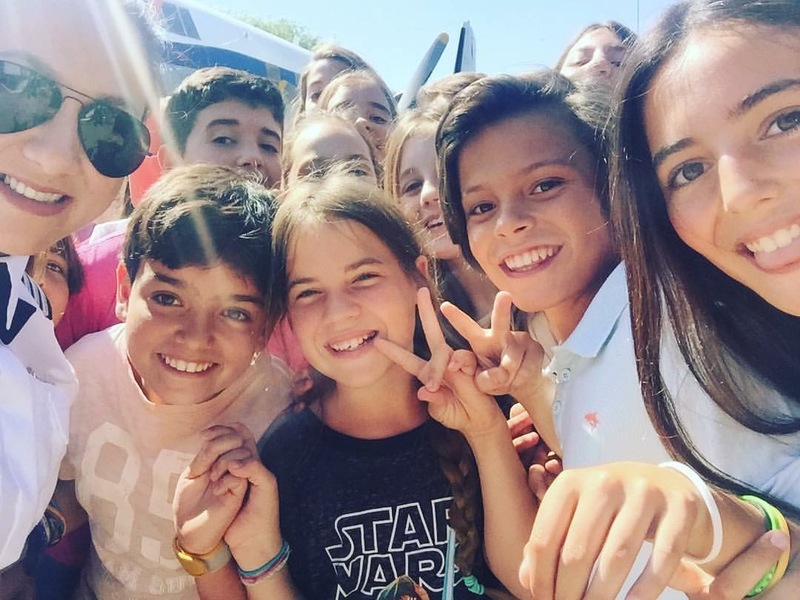 At the end of their trip, they intent to make a donation to the school to prolong its services. 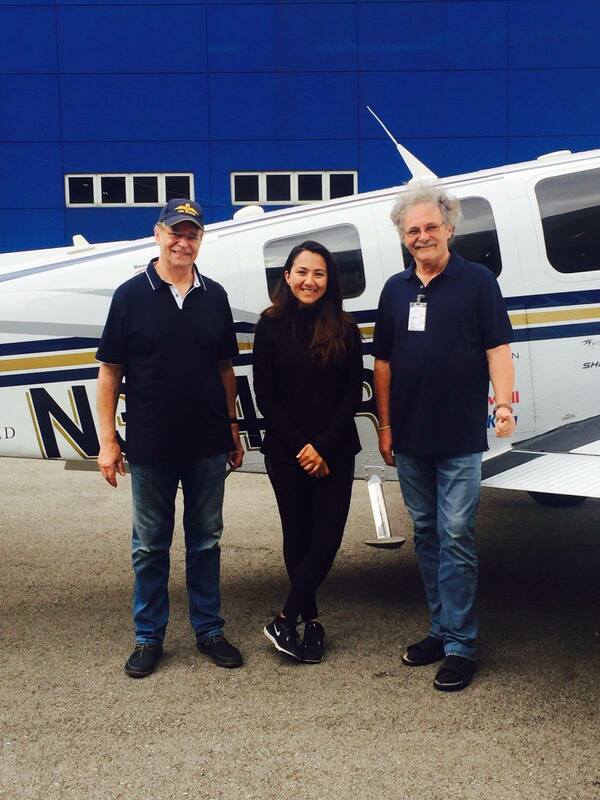 Best of wishes to Karl-Heinz Zahorsky and Karl Karbach on their global flight! Check out their website for more information here. 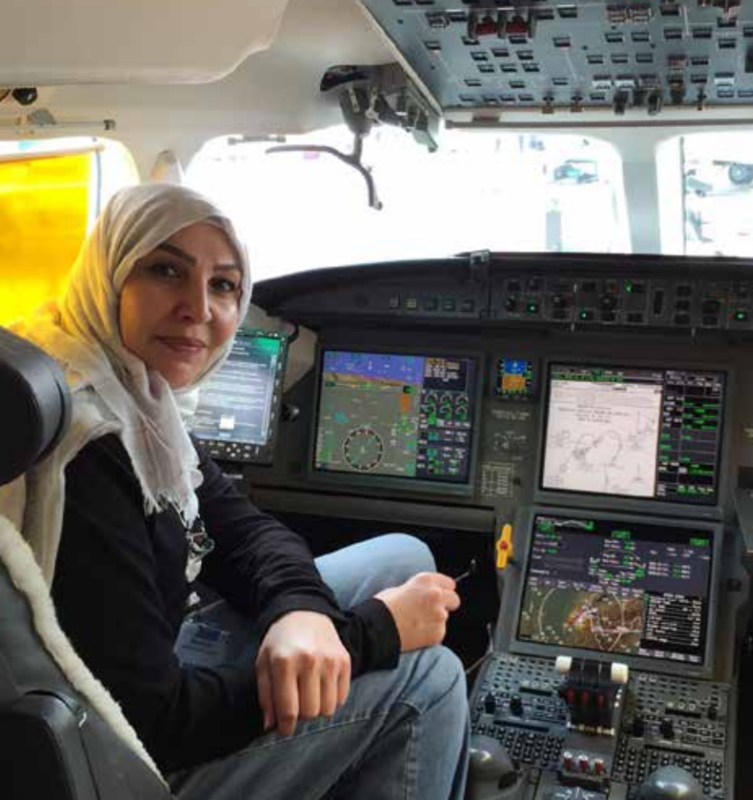 Mervat Sultan, co-founder of Ramjet Aviation and President of Women Aviation International – Middle East Chapter was featured in this article discussing her challenges and aspirations in the aviation field. Mervat also spearheaded outreach events in the UAE during Shaesta’s stay! 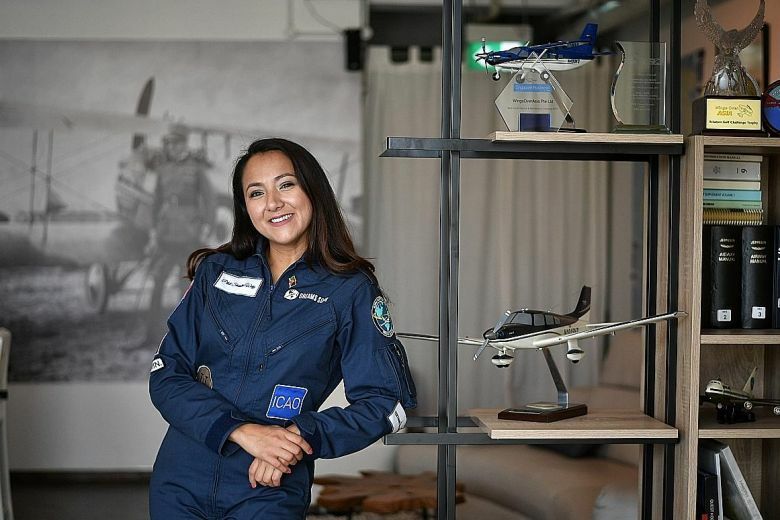 Shaesta recently sat down with Singapore’s The Straits Times and spoke about the Dreams Soar mission and her experiences on the global journey thus far. Read it here! Dreams Soar has a special message for you! Check out the bonanza getting squeaky clean before launch May 13 thanks to our friends and partners at Immaculate Flight! Michelle Yvonne Simmons is a quantum physicist in Sydney, Australia. She is renowned as a pioneer in atomic electronics and quantum computing. Currently a Professor of Quantum Physics in the Faculty of Science at the University of New South Wales, Michelle extends her talents and knowledge through other fields such as being Editor-in-Chief of Quantum Information. This academic journal publishes articles about the emerging field of quantum information science. Michelle’s career is extremely colorful. 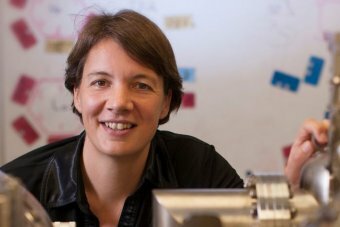 With a team of scientists, she has gained an international reputation for her work in discovering the 0.7 feature and the development of ‘hole’ transistors. These complex findings are catalysts in the quantum physics area of learning. Women in science, like Michelle Simmons, are making history and are setting the bar high for young girls to pursue and be inspired by STEM careers. With the FIRST Dream Team fundraising competition coming to a near-end (only 1 week left), our members are staying strong through and through. For week 7, the Dream Team was asked to create a social media post of their gifts and talents. 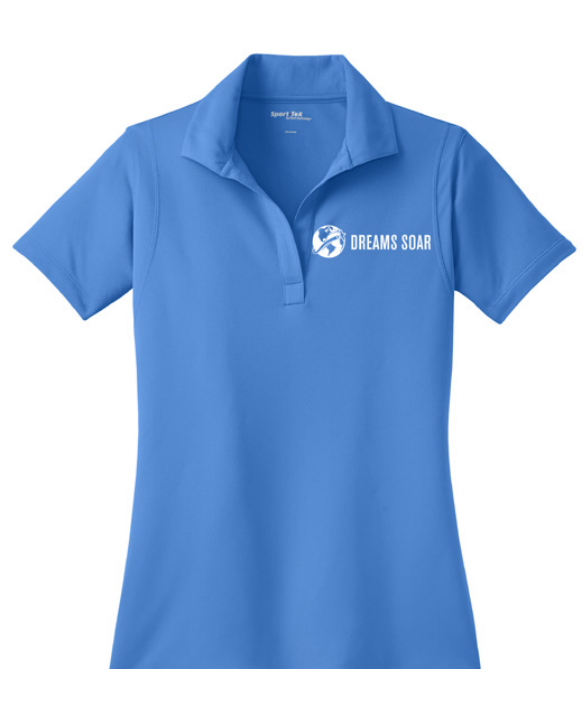 Be on the look out for these special and exciting posts to support the Dreams Soar mission! 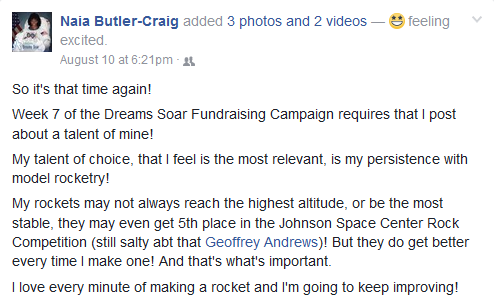 Check out this post by Dream Team Member Naia Butler-Craig. Big news! A solar eclipse is expected on August 21 and elementary school teachers are preparing for this grand event. Google has teamed up with a number of groups and organizations to include Mystery Science, the Gordon and Betty Moore foundation, SSI, the National Science Foundation and NASA to provide solar eclipse viewing glasses to thousands of libraries and schools across the country. The team has also provided free teaching material on the subject to allow teachers to expose their children to STEM ideologies. Get ready for this experience, read more about it here! 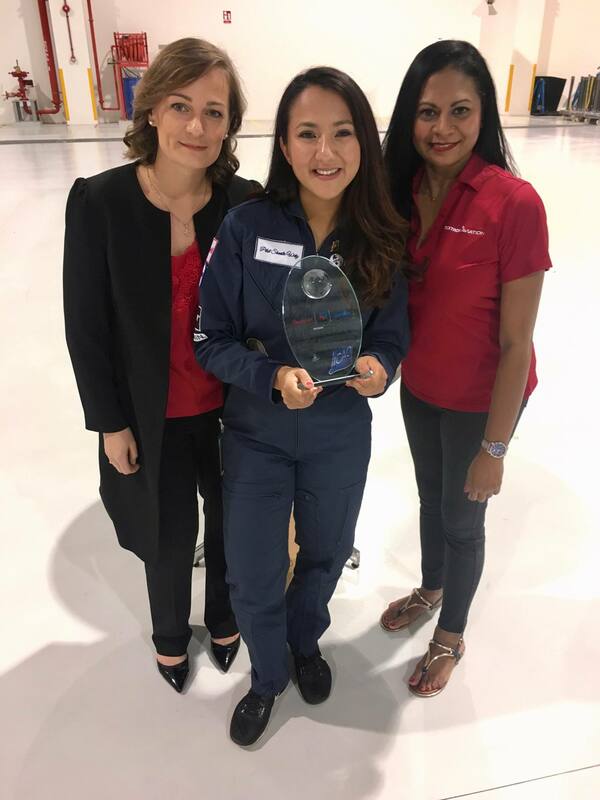 We are thrilled that Shaesta has been successfully inspiring the next generation to pursue STEM and aviation education and careers during her worldwide journey. 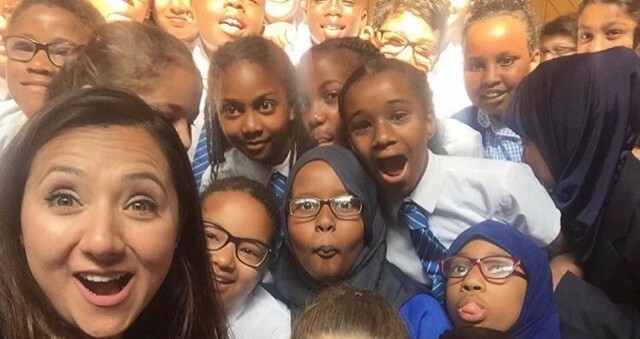 She has been sharing her unique story and has left a lasting impression on the lives of over 2,200 young girls and boys so far at global outreach events. We appreciate all your support in helping us get to this point and now it’s your turn to share how you’ve been an important participant in making Dreams Soar. 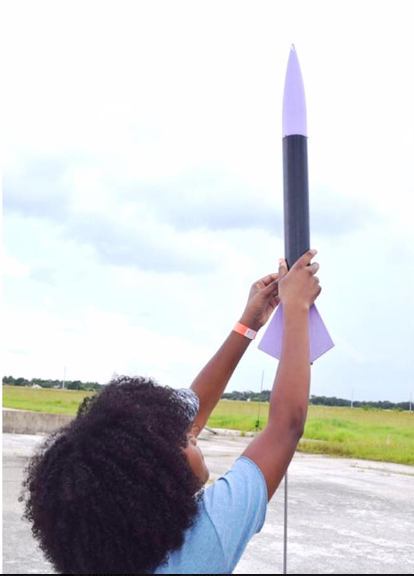 We would love to learn about your contributions to STEM/aviation education and careers. We are also interested in your professional pursuits and nonprofit organizations where you are making a difference. If you would like to participate, please send us 200 words or less (bulleted highlights are great too!) that we can utilize in our weekly Soaring Newswire newsletter and on social media. Please send your submission to Heather Schlichting at heather.schlichting@dreamssoar.org by Friday, August 18. Your commitment and dedication has been crucial to the Dreams Soar mission and to thank you we would like to highlight how you are positively impacting the next generation.